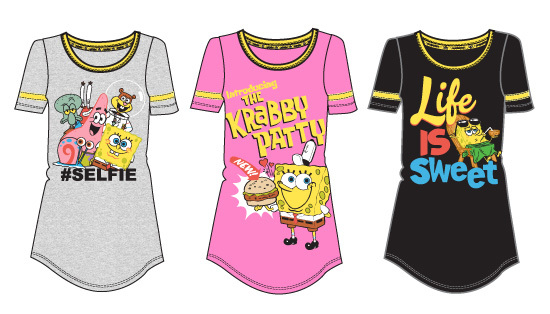 Welcome to Richard Leeds SpongeBob Juniors Pajamas Giveaway! Enter the SpongeBob Squarepants Giveaway! 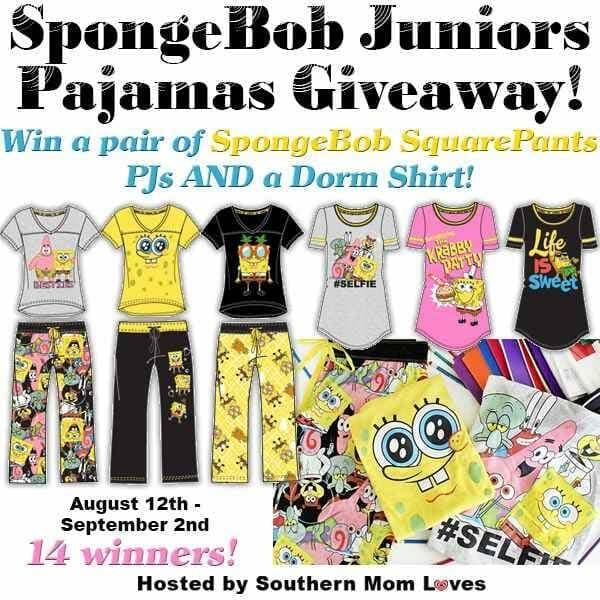 Win Pajamas and Dorm shirts! It’s Back To School time, and while you’re shopping for clothes, backpacks, and supplies, don’t forget some fun new PJs to help the kids transition back into those earlier bedtimes. I know nothing will get my kids more excited about bedtime than a new pair of pajamas! Richard Leeds International makes some of the best pajamas out there, with characters from your favorite movies, comics, and TV shows. These pajamas are made in super-soft cottons with bright, imaginative designs. This uber-affordable Juniors line is available exclusively at Walmart in-store and online. 14 winners will each receive both a pair of PJs AND a Dorm Shirt from Richard Leeds International! (ARV $419)! 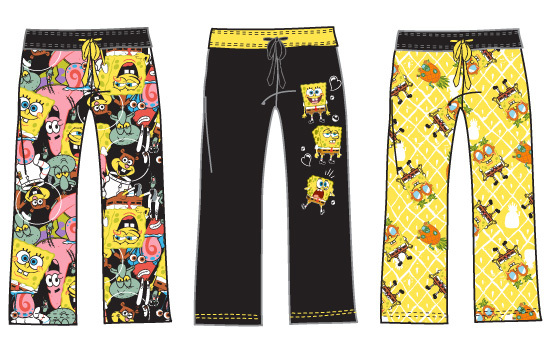 Each winner will be sent a set of pajamas AND a dorm shirt in a randomly chosen SpongeBob SquarePants design (shown above), in their size as they state it in the Giveaway Tools widget below. Giveaway begins on 8/12/15 at 1:00 am CST and ends on 9/2/15 at 11:59 pm CST. Must be 18 years or older, open to residents of the US only. Disclaimer: Work Money Fun and the participating blogs were not compensated for this post. No purchase is necessary to enter. One entrant per household, per address. All entries will be verified. Void where prohibited by law. Winner will be contacted by email; Please add [email protected] to your whitelist. Richard Leeds International will be responsible for prize delivery to the winner. This giveaway is in no way administered, sponsored, endorsed by, or associated with Facebook and/or Twitter, Google, Pinterest, or any other social media platform.